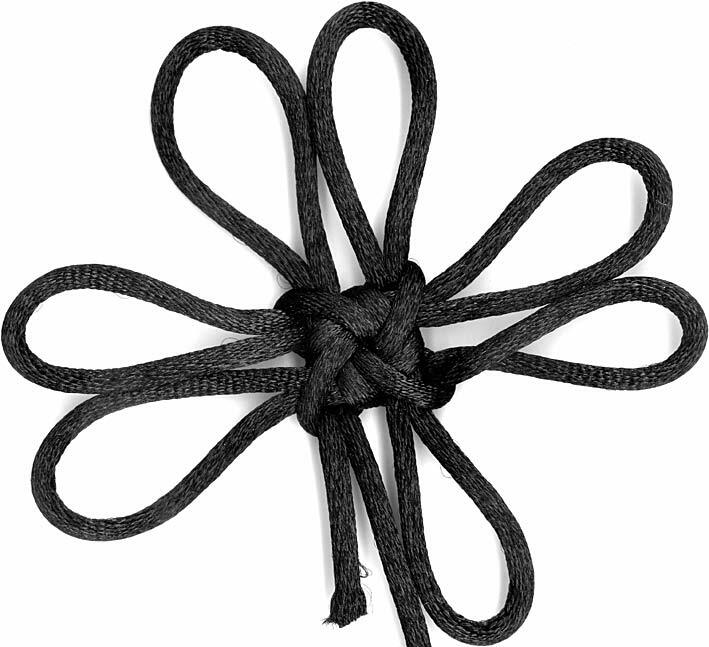 Next up, what I'm calling the corner split variation on the good luck knot. A first glance says that Ms. Chen has, in Chinese, named it something about little ear, blah, blah, variation A. A less casual and more labour intensive translation attempt follows. Here's the original and a word for character translation (note that a character by character translation misses a lot of nuances, but it's the best I can do). In any case, I am confident that the little ear wing refers to what I'm calling the corner ears. 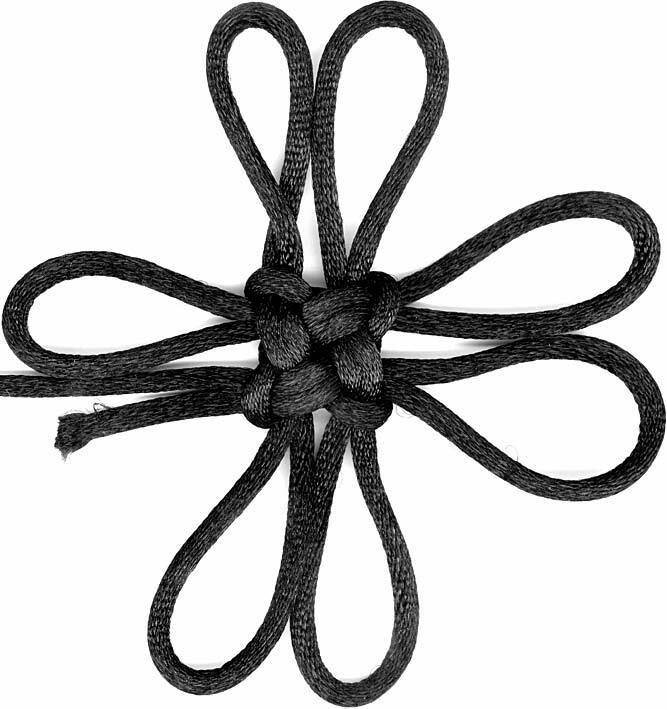 So, this variation does the first crowning step for the good luck knot, then extends what would be the corner ears and crowns those instead then splitting the loop directly opposite. This is an asymmetrical move and as you might expect, the back (see right) doesn't match the front.